Hey there! 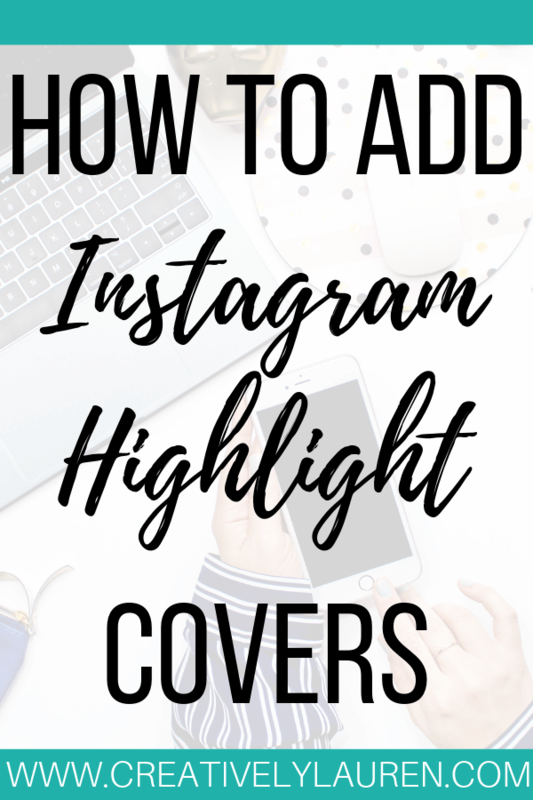 Today I want to share how to add Instagram highlight covers without adding them to your story! Instagram highlight covers add that extra piece of branding to your Instagram profile. They also just tie your profile together and help make your profile look cohesive. They also make it easy for your followers to know what that highlight is about. Some have highlight covers with text, some have highlight covers using icons, and some have just their brand colors as their highlight covers. Now, there are a couple of places you can get highlight covers. You can buy some from someone on Creative Market, Etsy, or your favorite blogger with a shop. You can also see if your favorite blogger has some available for free as an opt-in to their email list. The last option would be to make them on your own. This is the most economical option for someone just starting out. Highlight covers are not hard to make. I made mine in Canva and they are simple. I know how that may come across. I’m not saying that hard work doesn’t go into another blogger creating highlight covers and they don’t deserve compensation for making them. Especially if they are a super cute design with cute icons. 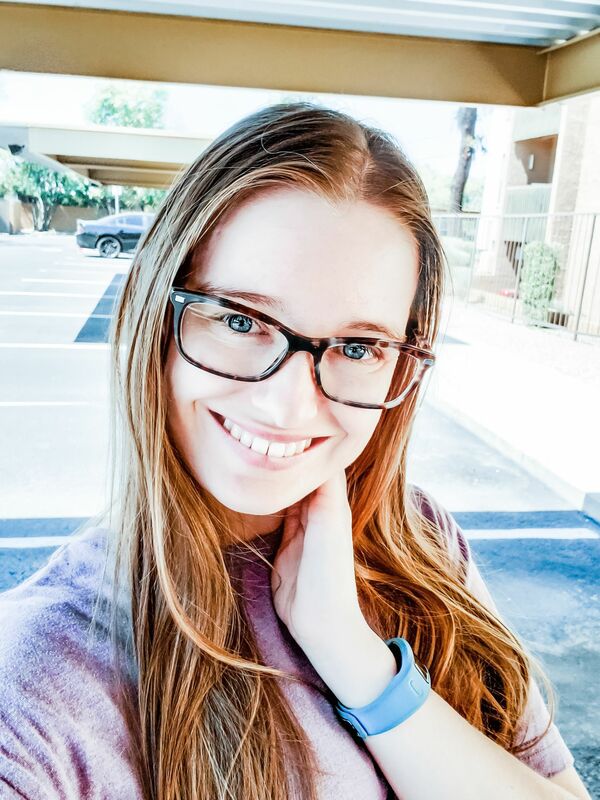 It takes time, and money, to get something special and unique for your blog. If you have the money from the starting gate to spend on a blogger’s cover package, then, by all means, buy the pack! 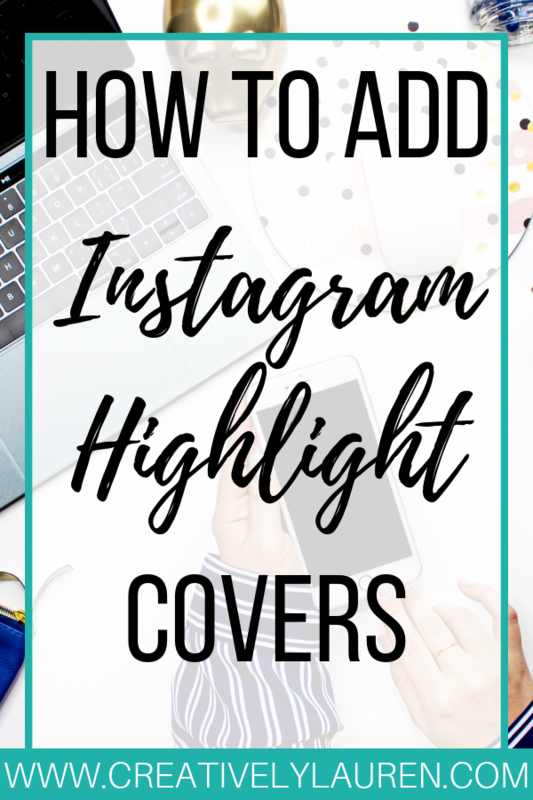 However, if you’re just starting out and you’re trying to save your money for bigger and more foundational things, then you can definitely make your own story covers! Here is the key! 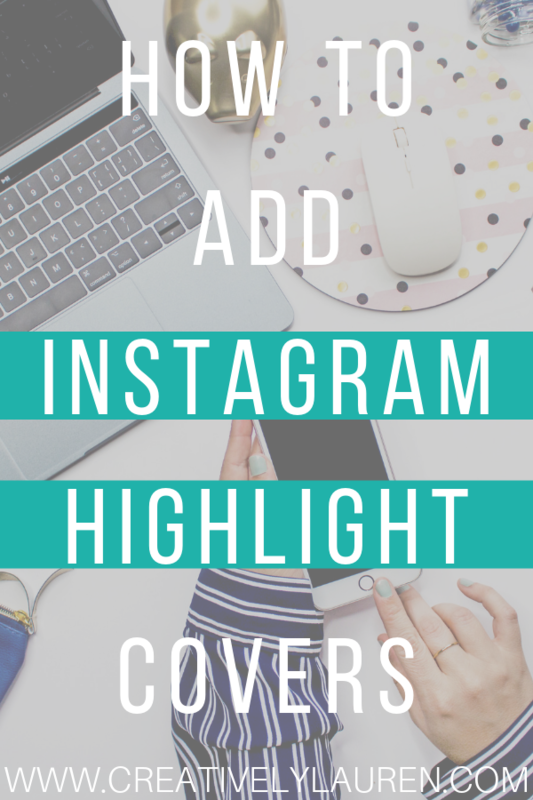 You don’t want to add the cover image to your Instagram stories! No one wants that because it won’t for the theme of your story! The good thing is, there is a way to add the cover without adding the image to your story. It’s super easy and just to show you, I recorded myself adding a cover to one of my highlights! You can check out the cover live on my Instagram. Check out the video below to see how to easy it is! I hope you enjoyed this post and found this video helpful! 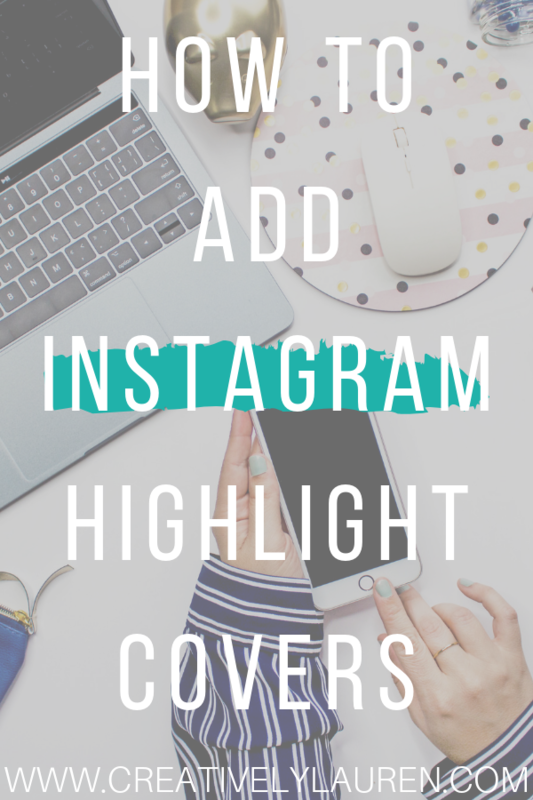 I think doing this is super important to branding your Instagram for success. 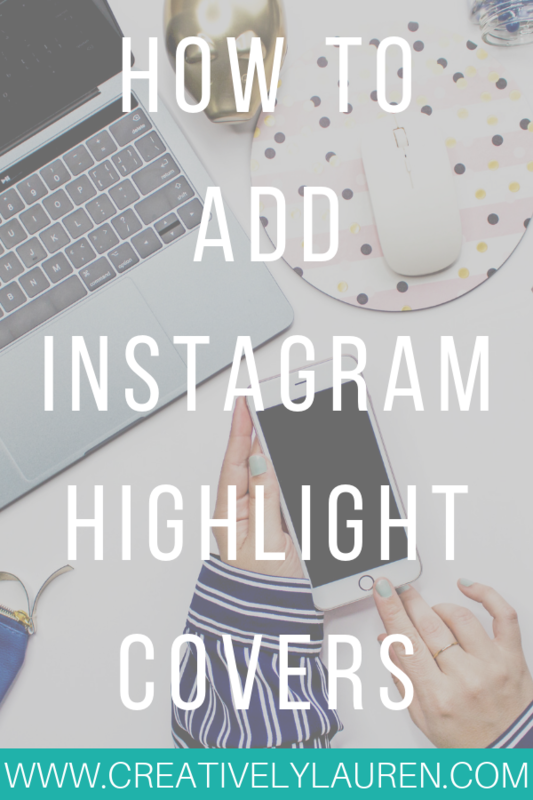 Did you know you could add highlight covers without adding the cover photo to your story? Let me know down in the comments! Find this post helpful? Share it so others can too! You’re welcome! I’m glad I could help!